Using its own statistics of frequency of problems and hard cash paid out for repairs. Warranty Direct has nominated the Most Reliable and Least Reliable cars built between 1990 and 2009. Although only 4,000 were evere sold in total, the Mitsubishi Lancer of 2005-2008 has cost the least in Warranty Direct warranty claims. In celebrating its 15th anniversary, Warranty Direct studied more than 200,000 live and historical policies spanning the decade and a half since it started recording reliability data with its unique Reliability Index (www.reliabilityindex.com) in 1997, for cars dating back to 1990. The Reliability Index has become an industry benchmark for used car reliability, using a complex formula to rank more than 450 individual models, taking into account factors such as how often the car breaks down, how much it costs to repair, plus average age and mileage. Japanese and Far Eastern makes have dominated the Reliability Index's annual study in recent years and, barring Vauxhall's diminutive Agila, which is second in the list, they populate most of the 'top 10 most reliable cars' since 1997, with Suzuki's Alto third and the Toyota Aygo fourth. 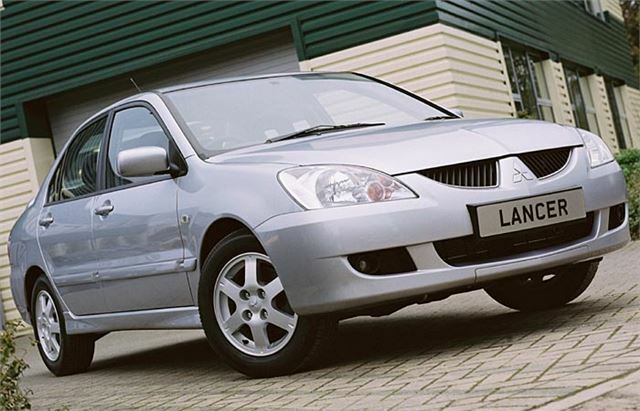 Mitsubishi stopped building the most reliable version of the Lancer, made famous by its iconic EVO variant, in 2008 but less than one in 10 standard Lancers broke down in any given 12-month period, with axle and suspension faults causing close to two thirds of garage visits. Meanwhile, the second-placed Vauxhall Agila features an average repair cost only three quarters that of the Lancer but is 3% more likely to break down, hence its lower ranking. The MX-5 model is so successful in the reliability stakes that it is the only model to appear twice in Warranty Direct's top 20 of the last 15 years, with the car built '98-'05 in 11th position. Toyota and Honda fare best in the top 10, with two entries apiece in the list, while the Supermini category for small cars dominates the most reliable vehicles on the road. At the other end of the scale, larger, more sophisticated and luxury cars, such as the Bentley Continental GT, defy their bigger price tags by breaking down more often or costing more to repair. The Porsche 911 (996) features in the 10 least reliable cars of the last 15 years despite the best annual incident rate of the group, at 39%, because of its hefty average repair cost of £847.52. The same can be said for prestige brand, Mercedes, whose cars feature three times in the bottom 10 places on the list. The SL, for instance, breaks down less often than almost every other car in the lowest-ranked group, but high repair costs places the car near the foot of the rankings. Warranty Direct managing director, Duncan McClure Fisher, said: "During our 15 years in business, we've racked up an enormously comprehensive database of cars and what makes them tick, or rather, what doesn't. "Most people looking to buy a used car hold reliability close to the top of their requirements, so the information our Reliability Index now holds is a vital tool for any purchaser. "Over the years, we've seen countless new technologies introduced to cars - they are now more complex than ever and, while many innovations are geared towards important considerations, like safety, it also means there is more and more that can go wrong. "As an example, the first car we ever covered was an Audi 100 - that was replaced by the A6, which features start/stop technology, an electromechanical parking brake, a park assist system and sensors for tyre pressure, light and rain, to name but a few new gadgets." Up-to-date vehicle reliability information can be found at any time at Warranty Direct's www.reliabilityindex.com website.